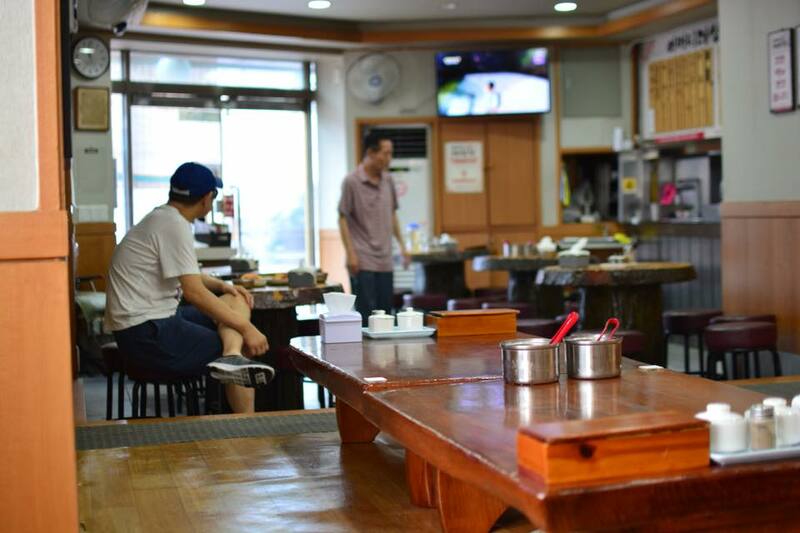 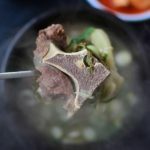 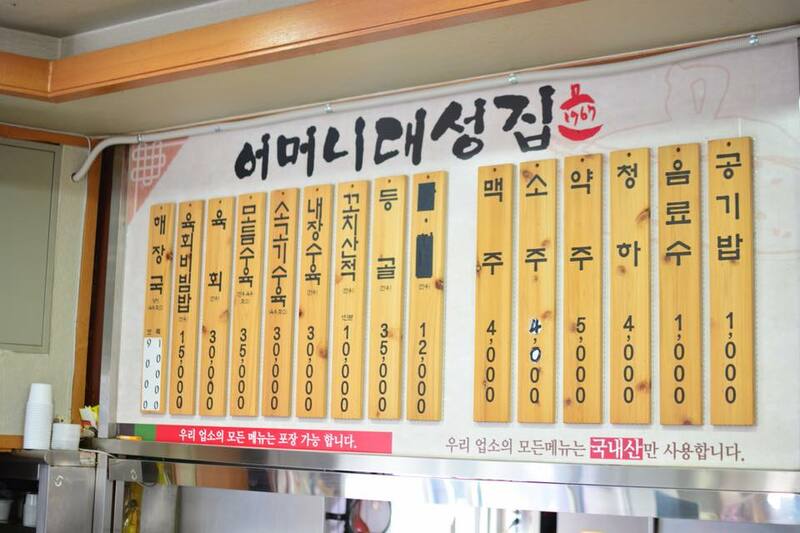 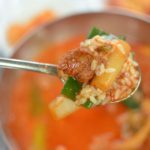 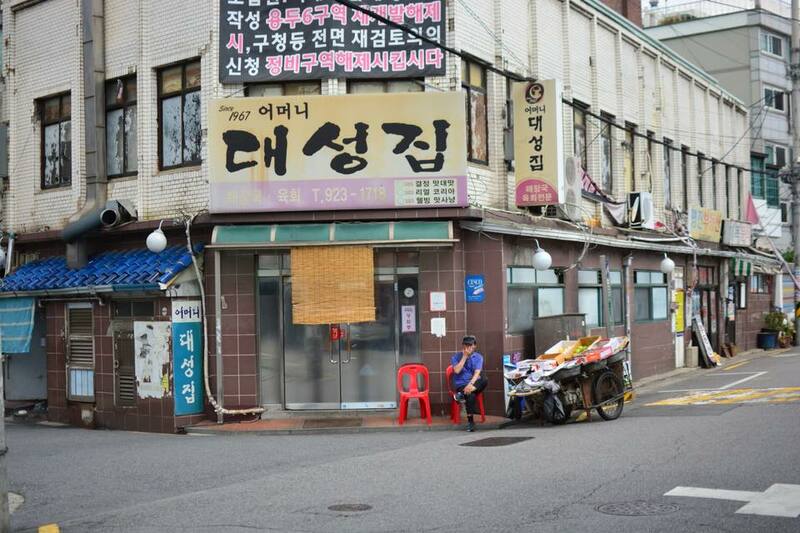 There are countless haejangguk “hangover soup” restaurants in Seoul, the most recognized being legendary Cheongjinok, spanning over seven decades in Jongro. 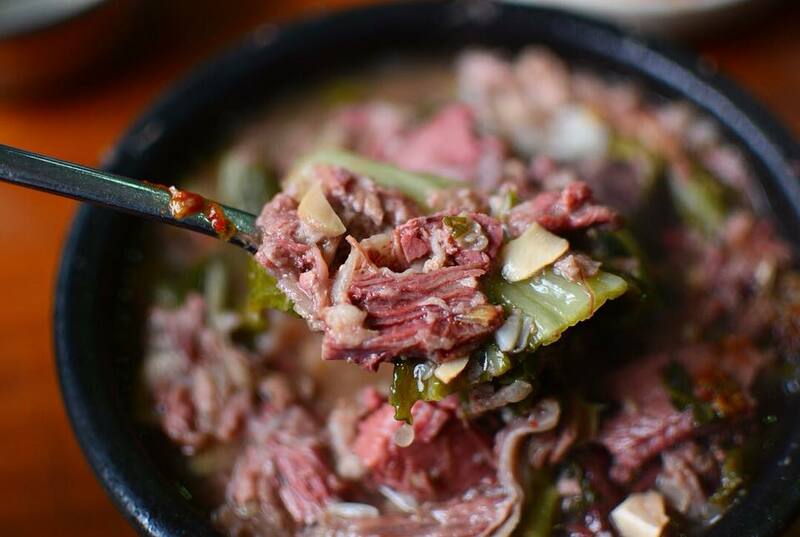 While Cheongjinok is great and all, you won’t find a better one than at Umeoni Daesung Jip — serving an impressive all-beef version that’s simply sublime and, personally speaking, breathtakingly beautiful. 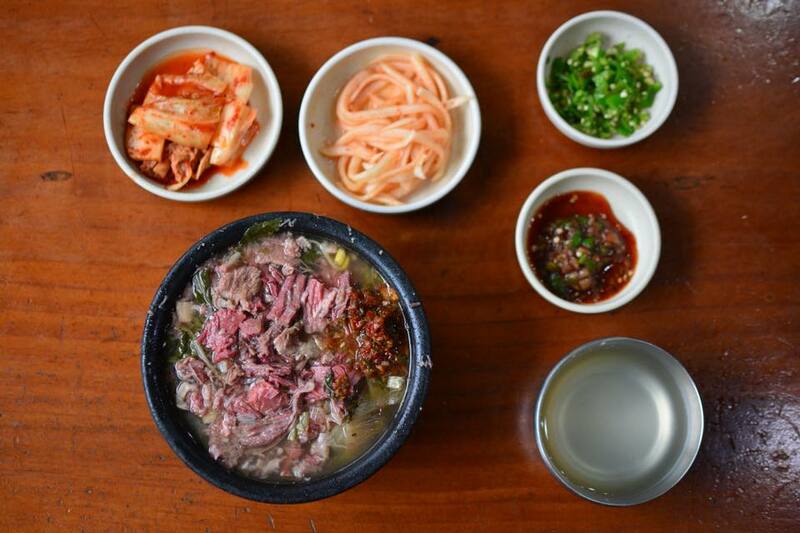 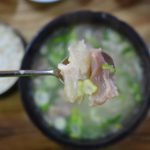 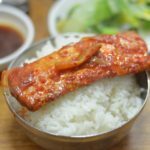 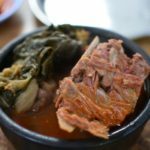 For over 50 years, this modest restaurant has remedied countless hangovers with their hearty haejangguk, which is packed with tender shredded beef, woogeoji (outer cabbage leaves), and a few chunks of seonji (coagulated blood). 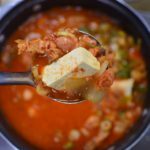 The broth starts off surprisingly light and clean (similar to galbitang) until you mix in the recommended salted/fermented clam and chili peppers, adding more depth and umami flavor bombs. 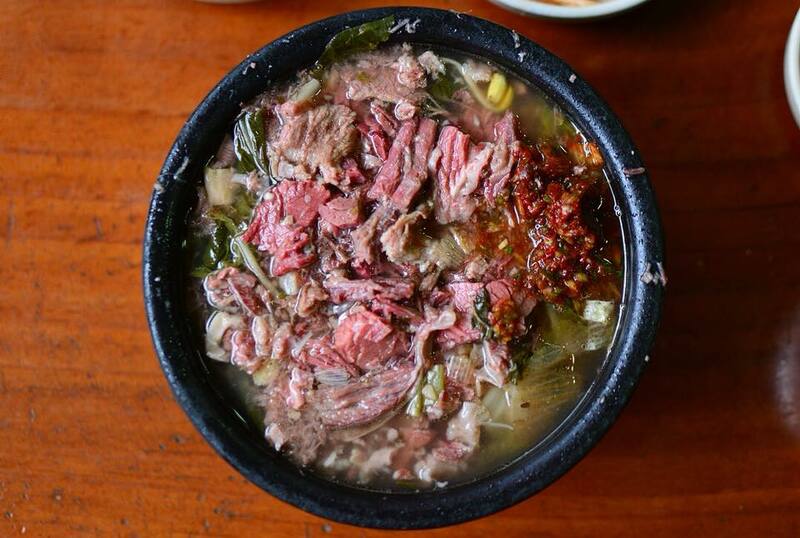 More interestingly, nestled under all that mountain of beef is rice, which is already added to the soup. 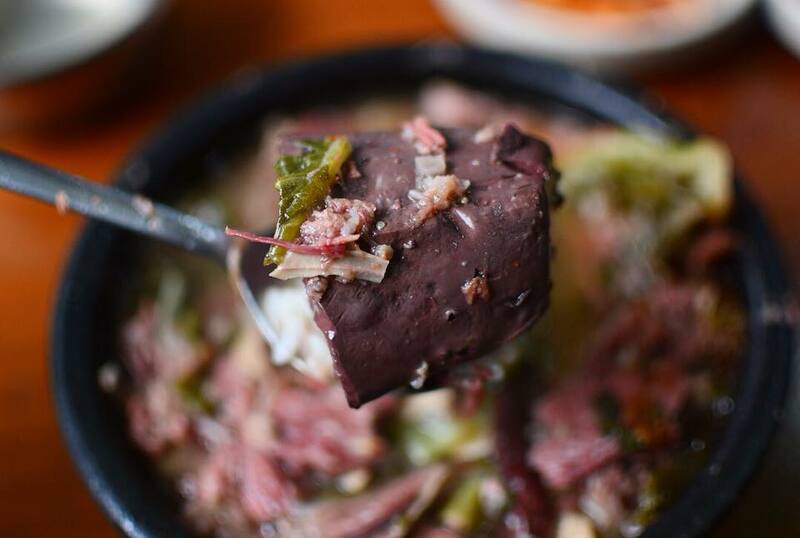 Whether or not that was intentional I’m not sure, but I think that’s one of the appealing aspects of the dish. 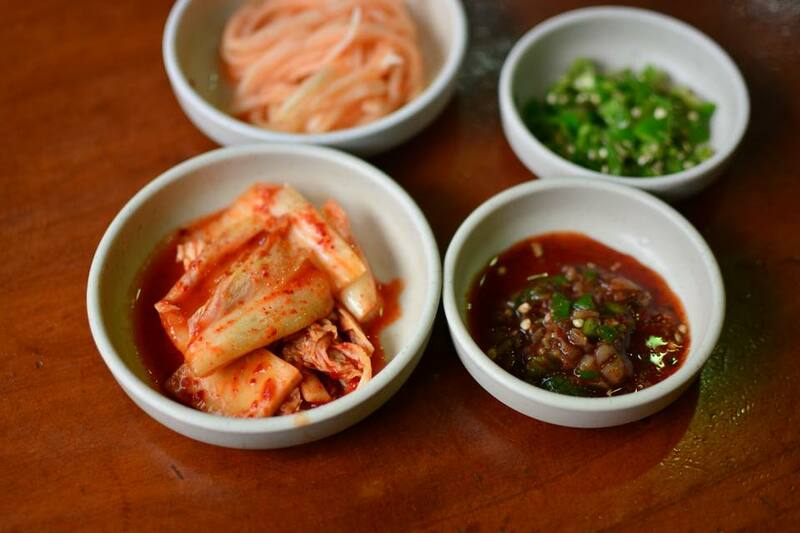 There are no bones to deal with and you simply start eating once you get the food. 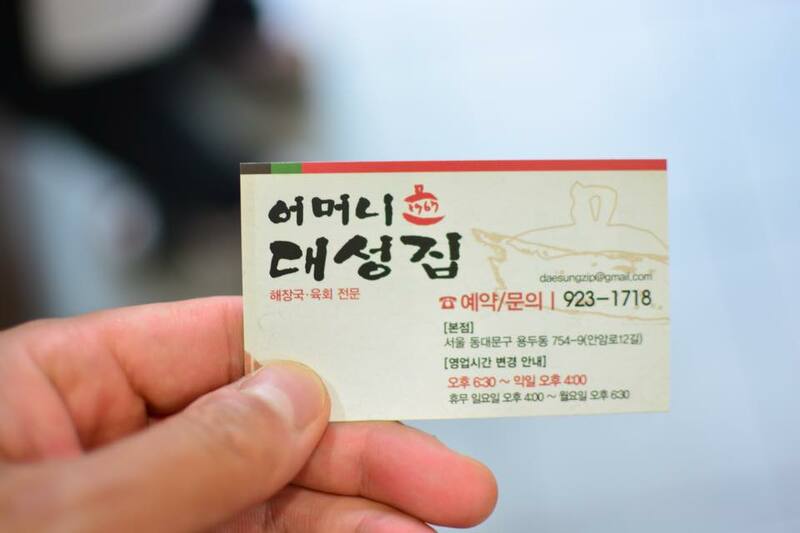 Brilliant in my books.